Exabytes Capital Group, an e-commerce and cloud solutions provider in Southeast Asia, has announced the acquisition of Malaysia-based website hosting provider HostPro2U for an undisclosed sum. This is Exabytes’s third acquisition in 2018 after ICONZ-Webvisions and Cybersite Services. Established in 2009, HostPro2U is owned by E-Global Innovative and has over 10 years of experience in the website hosting industry with 3,000-plus customers. It is specialised in providing cloud hosting services and helping SME to grow their businesses online to achieve their dreams since its establishment in 2001. Its products include domain name registration, business web & email hosting, cloud hosting, reseller hosting, content delivery network, virtual private server, dedicated servers, co-location services, managed disaster recovery, managed cloud backup and SSL web certificate, premium business email hosting with exchange ActiveSync, and instant website design. Today, the company serves over 100,000-plus customers (from individuals, students, small & medium size businesses, to government and public listed companies) in 121 countries and manage over 1,000-plus servers with 100,000-plus websites, over one million email accounts. Exabytes, through its sister group companies, also operates EasyParcel.com and EasyStore.co. 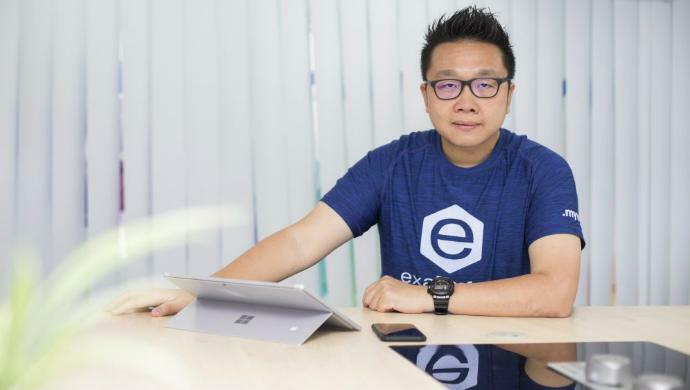 The post Exabytes Group acquires Malaysia’s website hosting provider HostPro2U appeared first on e27.